(LoC) in Jammu and Kashmir, a UN spokesman said. 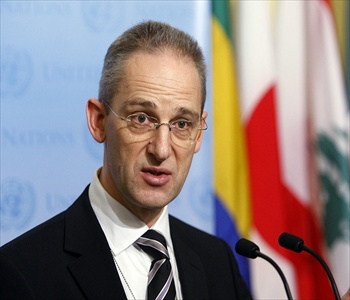 "Regarding the January 6 alleged incident, the United Nations Military Observer Group in India and Pakistan, or UNMOGIP, has received an official complaint from the Pakistan Army and will conduct an investigation as soon as possible in accordance with its mandate," Martin Nesirky, spokesman for Secretary-General Ban Ki-moon, was quoted as saying at a press briefing. Pakistan has accused Indian troops of killing one of its soldiers while Indian officials charged Pakistani troops with sneaking into Jammu and Kashmir's Mendhar sector, and killing two Indian soldiers, and mutilating their bodies. On the second "alleged incident" that occurred Jan 8, "no official complaint has been received either from the Pakistan Army or Indian Army", Nesirky said. "UNMOGIP is aware that the Pakistan Army and Indian Army are in contact via the hotline and urges both sides to respect the cease fire and de-escalate tensions through dialogue," he said. On Wednesday, Pakistan denied its troops crossed into Jammu and Kashmir and killed two Indian soldiers but said it was ready to investigate India's claim. "Pakistan strongly rejects the Indian allegation of an attack across the Line of Control (LoC) on its military patrol in which two Indian soldiers were claimed to have been killed. These are baseless and unfounded allegations," the Pakistani foreign ministry said in a statement. The ministry said Pakistan was prepared to launch an investigation through the UNMOGIP on the ceasefire violations.